The Deal Society has been asked by Dover District Council to carry out conservation area character appraisals on all of the seven conservation areas in Deal and Walmer. The 1990 Planning Act requires local authorities to keep conservation areas under review and the Dover District Council Heritage Strategy encourages local groups and residents to get involved in the process. An appraisal is intended to provide an understanding of the special interest of a conservation area and to set out options and recommendations to help ensure that any changes are informed by an understanding of the local character and distinctiveness of the conservation area. When this appraisal is adopted by Dover District Council it will become a Supplementary Planning Document which will be a material consideration in the determination of applications for planning permission within and adjacent to the conservation area. 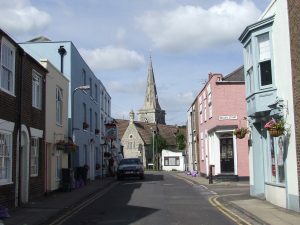 For its first appraisal the Deal Society chose the Nelson Street Conservation area including St. Andrew’s Church and grounds. During 2015 a small group of volunteers looked at this area. Every resident in the area received a short questionnaire to help in the research. The draft report which resulted from this work was published by Dover District Council for public consultation in October 2016. The Appraisal was then adopted as a Supplementary Planning Document. The report recommended some extensions to the boundary of the conservation area, it also recommended that an Article 4(1) direction be implemented for the whole of this conservation area, those recommendations have now been enacted. Click here to download a PDF of the report. 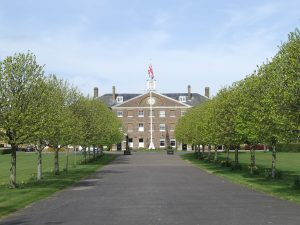 During 2016 The Society performed a similar appraisal on the South Barracks conservation area in Walmer, that report has been for public consultation and we hope that the report will be finalised soon. A PDF of the report will be made available here when it is finalised. 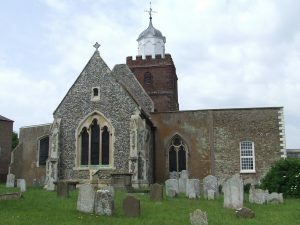 During 2017 The Society performed an appraisal on the Upper Deal conservation area. We are currently preparing the report to submit to Dover District Council, it will then go for public consultation.